This extra lightweight shirt is designed for superior ventilation, during any strenuous activity. 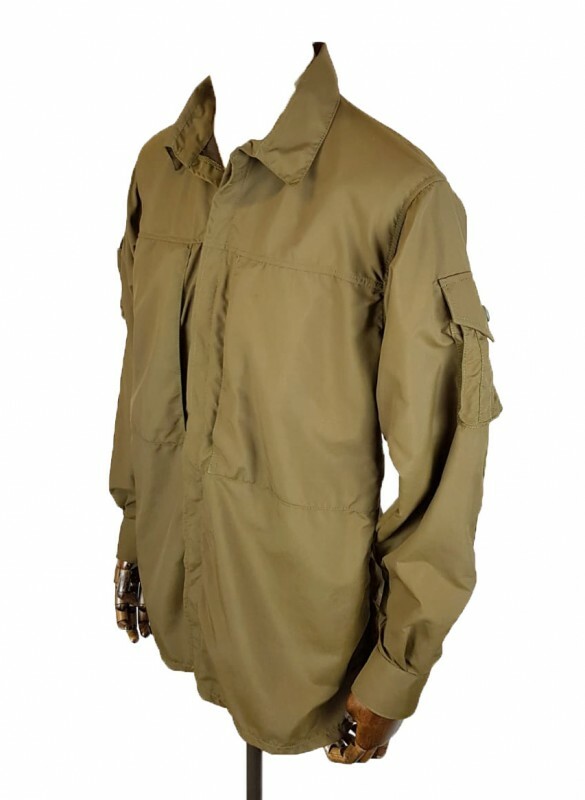 It is primarily designed as a utility shirt for fishing and working in the outdoors. It now comes as standard without drainage holes and rank tabs. 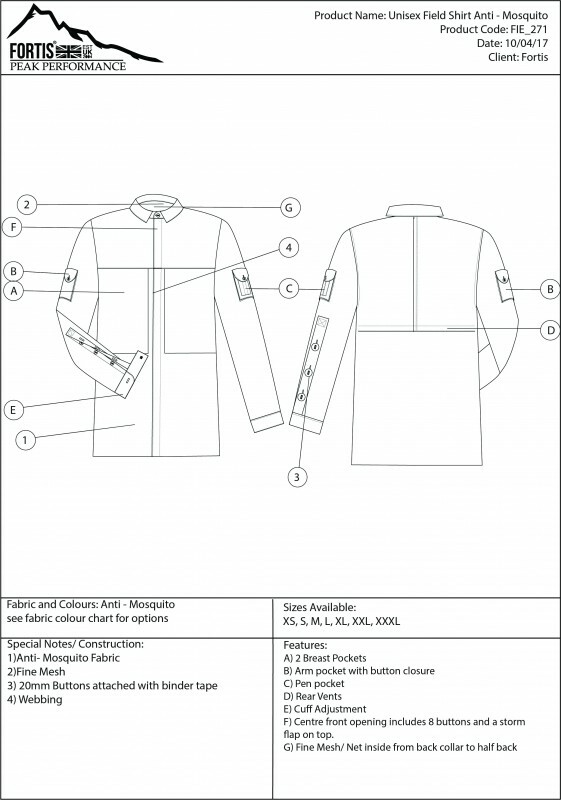 The Anti-Mosquito resilient nylon fabric has been tested by the German Military making for a robust quality shirt few products match. Ideal for shooting, fishing, bird watching and travel. In line with the rest of the range of clothing and equipment offered by this company; I can totally vouch for this shirt. I have 4 in service. 2 of which have seen active service almost daily for nearly 3 years. Impossible to wear out. The pockets are epic and will accommodate tools and various equipment with ease. The zippers are used constantly throughout the day and have never jammed or caught. Large buttons allow easy access even when wearing gloves. I sincerely think this is the best item of clothing I have ever purchased. My top tip is to order a size larger if you wish to use for winter use. This allows the shirt to be used as a jacket which allows warmer clothing underneath. Must be washed without softener to maintain beading. Superb drying time. To top it off the shirt looks incredibly smart when worn.